Are you looking for more visibility for your business? Our website reaches beyond your current customers, your own email list, and the local communities of Berkeley Lake, Norcross, and Peachtree Corners. 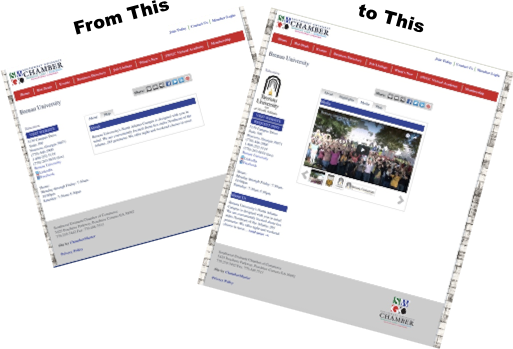 When you complete your member portal you'll expand the reach of your marketing to individuals and businesses that are looking to the Southwest Gwinnett Chamber for help in finding solutions to their business needs. And, it's included in your SWGC Business Membership! The Southwest Gwinnett Chamber will help you with the tools necessary to increase your business visibility and promote your products and services. Come learn how. An investment of 60 minutes will improve your company's visibility and help your business grow. Please register so we will know that you are going to attend.